This sermon was delivered on January 6, 2012, at Wallace UMC. A long long time ago, or so the legend goes, there was a Greek king named Hiero. One day, he ordered that a crown be made of gold… because that’s what kings do. So, he measured out an amount of gold to be melted down and made into a crown by a goldsmith. Well, Hiero got his crown, and he was very well pleased!…until he started hearing rumors, rumors that the goldsmith had cheated him, and taken some the gold for himself and replaced the lost amount of gold with silver. Hiero, naturally, was outraged, but he had no way of proving that the goldsmith did it. So what did he do, but hire the philosopher and mathematician Archimedes to solve the problem. 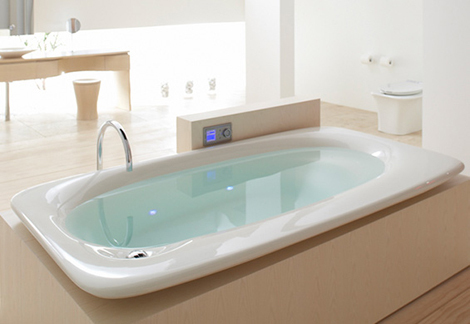 Baths: great for science! Also great for not stinking like feta cheese. You see, he had figured out the problem. It was a matter of density; if you can figure out how dense the object is, then you can have a better guess as to what it’s made out of. What do you do when the object is irregularly shaped? Measure how much water it displaces! That way, you would know what the object is made out of. 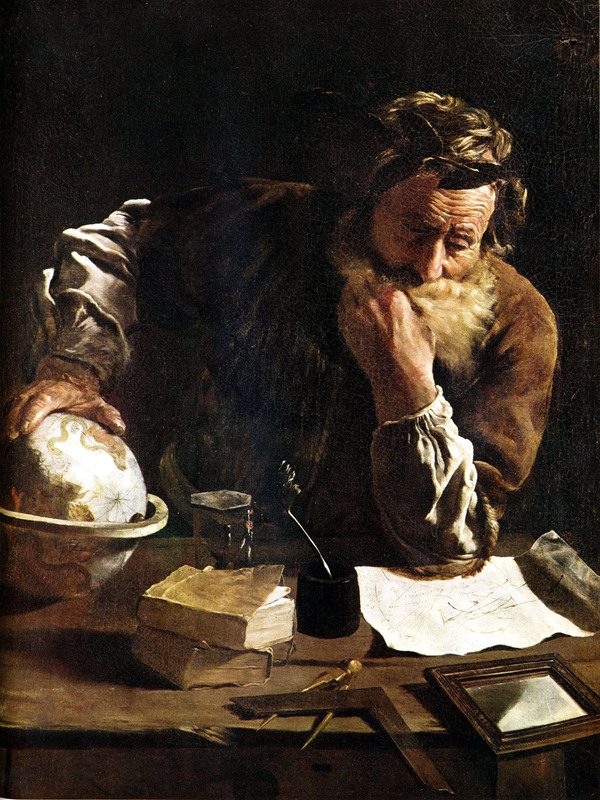 The problem was solved, and Archimedes had discovered a new method of measuring density. I’m sure everyone has heard the word “Eureka” before, but probably didn’t know it; well now you know! The thing is, that moment when there is a sudden clarity, a moment of pure discovery and recognition, that moment has a name, and it’s not Eureka! It’s actually another Greek word, known as Epiphany. As things would have it, it’s also the name of a holiday that lands square on this day, January 6, the Twelfth Day and final day of Christmas—Epiphany. 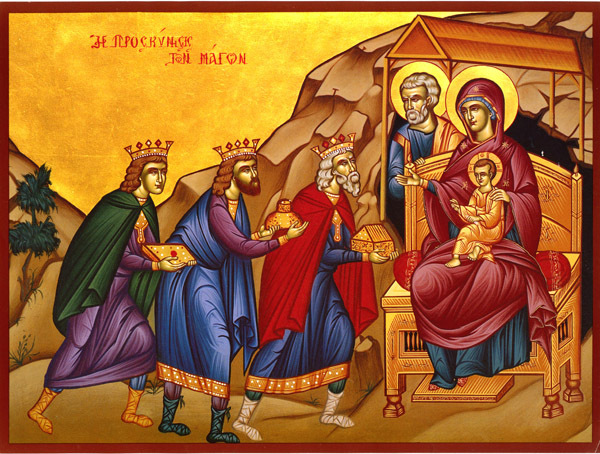 It’s the day we celebrate the arrival of the Magi, the famous Wise Men of the East, when they found the Christ child and honored him, knelt before him, and gave him…gifts. How do you feel when you are given a gift? I’m not talking about giving a gift, I’m talking about receiving one—especially an unexpected gift. A gift that literally comes out of nowhere? It doesn’t have to be expensive or extravagant; just a meaningful one. What is that feeling? What you ought to feel (note the ought) is gratitude, of feeling grateful for the gift that you have received. More often than not, that gratitude might make you feel like you owe something to the giver, perhaps something of equal worth. Maybe your relationship gets deeper as a result. Or, it might not. It usually depends on the meaning of the gift itself—meaning for you, and for the giver. Of course, gratitude isn’t usually something you’re born with. Part of it is taught. When you were a kid, more than likely, you weren’t very grateful right off the bat. The importance of saying “please” and “thank you” has to be drilled into us, often for little things. I can’t tell you how many times I had to be reminded at the dinner table. “Could you pass the salt?” I would say. Mom: Yes. (passes the salt) Now what do you say? Me: (eyeroll) Thank you… (grumble grumble). Over and over again, we need to be reminded how to have gratitude, how to be thankful, because otherwise, we take things for granted. We feel entitled. We feel that everything that is given to us is because it’s owed to us, rather than something to be grateful for. Hopefully, if this drilling sticks, we become more appreciative of the things we have, and the gifts that we are given. So why is today called Epiphany? Well, it has to do with what the Magi did for Christ in giving gifts. It’s called Epiphany because it’s a recognition of the profound and holy thing that happened in the Incarnation, the birth of the Messiah, God the Son. It’s a moment of clarity in a dark and clouded world. It’s a Eureka moment, a moment when the whole self, body and soul, cries out “I found it!” For a bright, shining moment, the Christ child is recognized as the one who would come to save not just Israel but all people. It’s a moment of supreme gratitude, and in gratitude for the Christ child, the magi gave gifts in return. As such, they recognized the gift that is Christ. In a way, you could say that the Magi realized that they by Christ were gifted, and how gifted they really were. I say gifted, and I mean it for a very particular reason. By definition, being gifted is a state of being that means you literally are in possession of a gift. When we say it usually, it means that someone is talented in some way—he’s a gifted speaker, she’s a gifted mathematician, he’s a gifted chef, she’s a gifted mechanic, etc. However, it’s usually something that’s an intangible when we say it, doesn’t it? You can’t really touch a talent, or taste it, or anything like that; it’s not an object. It’s an idea. It’s something you can do, or the situation that you’ve been given. But the key to understanding being gifted is that there wasn’t anything you did to earn it. It was given to you, whether or not you asked for it. It’s there, if you’re willing to take it and treasure it. True, you can hone these gifts and talents—and you should!—but there are just some things people have an aptitude for. The magi themselves were an interesting—and gifted—group of people. 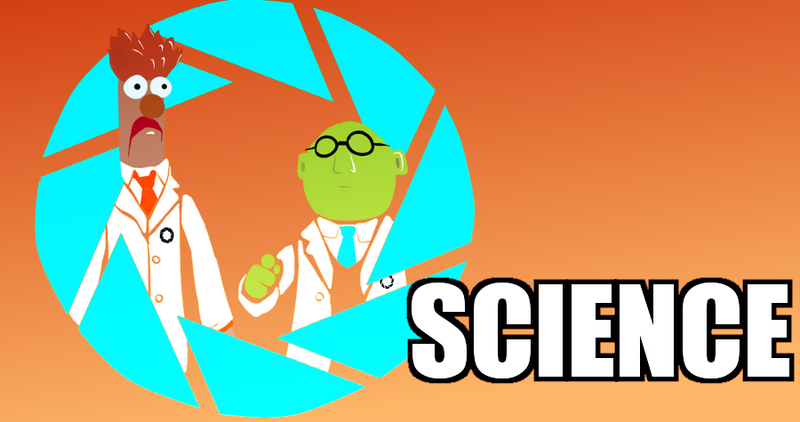 They were academics, philosophers and scholars—today, more than likely we would call them scientists. They studied the stars, the earth, nature, and all the collected knowledge that was available to them. Right off the bat, we know that these men who came, these wise men, were of a very intelligent cast. They were revered, respected, and well, gifted in many ways. It was these gifts that led them to see and understand the star in the sky, and to research the possible meaning for the star to be there. Of course, one doesn’t often get to that level of intelligence without a bit of introspection and self-awareness, and in some way, gratitude for what they have, and gratitude for the gift that was signaled by the star over Bethlehem. It was also their awareness of what it means that moved them to pay respects to what they believed to be the birth of the King of the Jews, and to give gifts fit for a king. The most remarkable thing about it though is that this wasn’t even their king that was born. They were foreigners, and non-Jews. They were not members of the tribe of Israel at all. They had no allegiance in any official way to this newborn King of the Jews. But they decided to honor him anyways. This very thing should prove to us that God works in ways we don’t expect, on people on the margins, and with people for God’s own purposes. God was working in the Magi for God’s purposes. In God’s way, they were given the clarity and drive to seek out the Christ child, for the sake of the world. On the flipside, we have King Herod. Herod was essentially a crony of the Roman government—itself a gift, for service and loyalty to the Empire. However, when one is made a part of the empire in this way, one can’t help but be affected by it. Having a king, as was found out in ancient Israel, is basically a system in which the king will take what he wants, with no guarantee on return of your investment. Herod was this kind of king. He was also the kind of king that wants to remain king as long as possible, by any means necessary, even from members of his own family. He’s a very selfish and paranoid figure; none of that equals any kind of gratitude. It shouldn’t surprise us that Herod was suspicious when the Magi showed up. It shouldn’t surprise us that he tried to use them for his own purposes. It shouldn’t surprise us that this man who sought to preserve his own power at any cost would decide to slaughter countless children under the age of two just on the off-chance that his claim throne might be challenged. It shouldn’t surprise us at all—but it should make us sad. It should make us disappointed. Just because you are born in the right place and given power over others does not make everything you do the right or honorable thing. It also shouldn’t surprise us that the Magi saw through him, and did what they could to stem the wrath of a paranoid, selfish, ungracious king, a king given and gifted with everything yet grateful for nothing. When we celebrate Epiphany, what we get to do is recognize a day of gratefulness for all that is given to us, especially the gift of Christ into the world. But at the same time, the real epiphany for us is simply this: Christ came for all people, at all times, so that the world would be saved. The thing is, he didn’t just come for the people that recognized him as the Messiah. He didn’t just come for the people like the magi, and the people who know what it is to have a gift, and be grateful for it. He came for them, but he also came for the Herods of the world too. He came for them, even though we may not have wanted him to, or if we may think they don’t deserve it because of how awful and evil they are. He came for them, as he came for us all. He came because we needed him to come. And that’s the Epiphany. It’s the grand reveal, the moment of clarity that comes when we recognize the awe inspiring mission of Christ in the world, and the devastating cost that it takes to save it. Christ’s grace is available to all, not because we earned it, but because we need it. We need God with us. We need this King, this Priest, this Prophet, this Immanuel. We need him because on our best days we may be the Magi, and on the worst ones we may be Herod. You been given the gift of grace in Jesus Christ. On Epiphany, we come to realize this profound gift—the gift of eternal life, of second birth, of salvation itself. That gift is for you. You have been gifted with this grace. It’s up to you to accept it, and appreciate it, and live like the gift means something. You can be like the Magi, and live a life defined by grace, by gratitude. But it’s up to you. You can live life graciously, or you can take things for granted, and miss everything wonderful in life. So can you live a gracious life? Can you live a life of gratitude? Can you accept the gift of salvation given to you, along with the many other spiritual gifts God has given to you? I hope so. It’s a wonderful thing. Each day becomes a gift. Each moment is a new opportunity to live and be gracious to others, to love others, and to be a part of the redeemed life given to us by Christ. So can you? Because if you can, even more wonderful gifts await you, gifts in abundance! So live graciously. Live appreciatively. Live like you’ve been given the greatest gift ever, because quite simply, you have. Glory to God! Amen. This entry was posted in Uncategorized and tagged Christianity, Christmas, Epiphany, faith, grace, Gratitude, Religion, Science. Bookmark the permalink.